Imagery and GIS Integration: Why Now? Kass Green has spent her professional life working on the integration of GIS and imagery. The focus of her work has been helping develop solutions to real-world problems using these technologies together. Imagery and GIS: Best Practices for Extracting Information from Imagery, a new book from Esri Press she coauthored with Russell G. Congalton and Mark Tukman, is based on decades of the practical application of these technologies. Unlike many, if not most, books on remote sensing and GIS, this book is focused on solving users’ problems rather than pushing technologies. It is designed to give GIS users the information they need to incorporate imagery into GIS projects and workflows. [See the accompanying article, “Imagery and GIS: Best Practices for Extracting Information from Imagery.”] In this article, Green explains why GIS and imagery integration is increasingly important to GIS professionals. I have spent my career working with people, listening to their problems, and finding solutions for them by combining GIS and remote sensing to answer questions about place—questions such as, Why did the fire burn here and not here? What crops flourish here? Is there enough food in this area to feed these people? The power of imagery and GIS together allows us to perform a vast variety of tasks including weather prediction, disaster response, military reconnaissance, flood and wildfire risk assessment, preservation of sensitive ecosystems, delivery of humanitarian aid, transportation planning, agriculture crop yield estimates, fisheries management, and change monitoring. Imagery forms the foundation of most GIS data. Whether it be a map of transportation networks, elevation contours, building footprints, facility locations, vegetation type, or land use, the information in most GIS datasets is primarily derived from imagery. Alternatively, GIS allows us to more efficiently and effectively derive information from imagery. Organizing imagery in a GIS brings the power of spatial information management and analysis to imagery. Remote sensing has always rapidly incorporated advances in technology, but the pace of change has quickened, and recent developments drive the integration of GIS and imagery right now. First, the sensor explosion has dramatically expanded the supply of imagery. Long a staple in military operations, imagery is now also ubiquitous in civilian applications. The evolution from film to digital arrays has made storing, accessing, and analyzing imagery easier, less expensive, and faster. The miniaturization of electronics has also allowed sensors to shrink and become lighter, and the types of imagery products have expanded beyond color and panchromatic to include lidar, radar, phodar, multispectral, and hyperspectral products. Second, platforms have become smaller, more agile, and less expensive. With the development of CubeSats and SmallSats and increasingly ubiquitous drones, the fixed costs associated with launching and flying sensors have dramatically decreased. Combined, these technology advances have improved imagery spatial, temporal, and spectral resolutions while also lowering costs. As a result, the structure of the imagery market is fundamentally changing. Once dominated by large, expensive systems, designed and funded by government, the market has seen the entry of multiple commercial providers that are willing to compete on price and negotiate licensing terms. More imagery is also available from government agencies, often making that data open. The moderate-resolution systems of the United States Geological Survey’s Landsat and the European Union Sentinel together capture global multitemporal and multispectral measurements of the earth every three to five days, which is free and open to all users. The United States Department of Agriculture’s National Agriculture Imagery Program (NAIP) imagery provides 1-meter multispectral imagery data of the United States, captured on a three-year cycle, which is also free and available to all users. Simple multiscale imagery is accessible for visualization on multiple websites. Full resolution multispectral imagery is also dynamically served by a variety of platforms, such as Esri’s ArcGIS Online, for both visualization and analysis. This is a huge benefit. When I started my career, we purchased Landsat imagery for the State of California, which cost us a quarter of a million dollars. Now I can get Landsat, Sentinel, and NAIP data free all the time. Many local, state, and federal agencies, such as Sonoma County, California, make lidar data and high-resolution airborne imagery and products available for free and without restriction as web services or online downloads. Similar to the creation of the robust value-added weather industry following the decision of the National Oceanic and Atmospheric Administration (NOAA) decision to provide free access to NOAA weather data, the opening of free access to government earth observing imagery supports economic growth and decision-making in public agencies, private companies, and nongovernment organizations (NGOs). Finally, imagery is big data, which often is daunting to organizations trying to use it. But the advent of cloud storage combined with the plummeting cost of computer disk space and memory makes issues of cost and capacity much less of a barrier to the use of imagery. Simultaneously, advances in machine learning and artificial intelligence algorithms that support medical research and social media sites are also being applied to the extraction of information from imagery, allowing the full integration of GIS data layers into imagery classification and resulting in reduced costs and an increase in the accuracy of imagery-based maps. Spatial data has become mainstream. Location is an integral part of the IT landscape, so more software engineers are familiar with it, leading to an increase in the pace of innovation. Taken together, these developments have resulted in greater access, decreasing costs, and declining barriers to use, which, in turn, makes imagery much more available for more applications. This is a good thing, because we keep making more people, but we’re not making any more land. Our resources are increasingly scarce. Fundamentally, imagery allows us to inventory and monitor resources and link natural phenomena and the actions of citizens, governments, and corporations to impacts on our land and oceans and—ultimately—to the people who depend on them. GIS and imagery, together, are critical to our future on this earth. In a career that spans three decades, Kass Green has not only managed and supervised hundreds of GIS and remote-sensing professionals but has also been a leader in GIS and remote-sensing research. She also has helped shape remote-sensing policy and vigorously supported Landsat program initiatives. Green chairs NASA’s Earth Science Applications Committee and cofounded and chaired the United States Department of the Interior (DOI) Landsat Advisory Group. 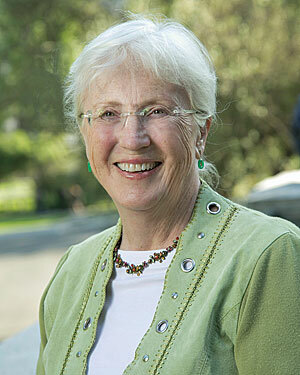 She is a past president of the American Society of Photogrammetry and Remote Sensing (ASPRS) and MAPPS. An ASPRS fellow, she received the society’s highest honor, the Honorary Lifetime Achievement Award, in 2016. Her research has led to innovations in automated change detection, accuracy assessment, and object-oriented image classification. Her firm, Kass Green & Associates, works on projects all over the world. Recent projects include mapping the vegetation of the national parks of Hawaii, Grand Canyon National Park, and Sonoma County; and consulting to the government of Ethiopia regarding the choice of imagery to support the country’s land certification activities.